How does the member register on the managed programme? Should any member or employee test positive, or suspect that they may have been exposed to the HIV Virus, they can go to any doctor of his/her choice for the initial examination and a diagnostic HIV test. Should the member test positive, the doctor or member must contact LifeSense for an application form which must be completed by the doctor and signed by the member. 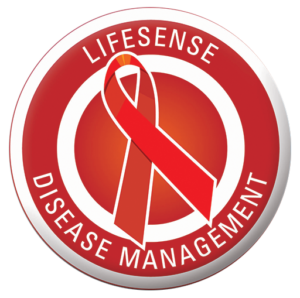 The application form together with the results of the member’s blood tests must be faxed or e-mailed to LifeSense Disease Management for capturing and auditing. Based on the above information and the results of the monitoring blood test of a CD cell count, viral load and full blood count, a drug treatment plan will be approved by the LifeSense Chief Medical Officer. The member’s doctor will be contacted and advised what medication has been authorised for the particular individual, taking into consideration the member’s stage of disease. Medication, once authorised, will be dispensed to the member monthly and medication will be delivered to the address furnished by the member on the application form (below). Prior to medication being dispensed to the member, the member will be contacted by a LifeSense case manager who will counsel the member and explain what medication has been authorised and how the medication must be taken.